XP Deus update taking your metal detector to another level. 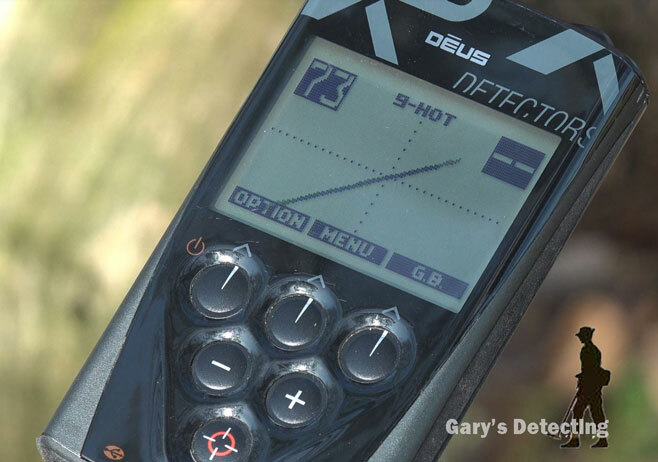 "This has to be the most versatile metal detector in the world"
"The XP Deus version 4 update from is the worlds most advanced metal detector manufacturer"
So what does the new update have to offer, the Deus has always been a metal detector that ticks most of the boxes, one often asks how can it be improved upon. There has been a lot of speculation between treasure hunter from all over the world, with wild claims made on some metal detecting forums. It was made very clear from the start that the new V4 update from XP would be mainly a firmware update to accommodate the MI-6 pin pointer and the new High Frequency coils. XP have done this with great success and have also added some neat features to the menu, including 2 new detecting programs Gary's HOT program is on number 9 and a new DEEP program is on number 6. The Deus screen graphics are the same, a new XY screen has been added to make the elimination of troublesome targets such as coke much easier. The XY screen is very uncluttered and will appeal to many serious Relic and coin hunters. 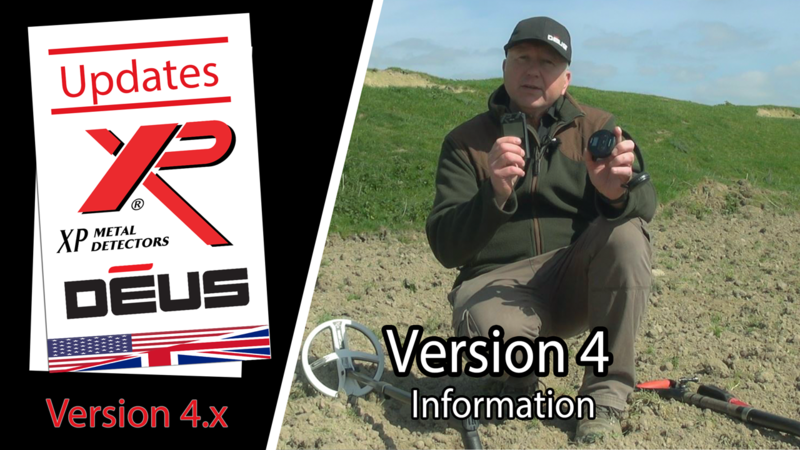 XP metal detectors have made a very informative video explaining the V4 updates I am sure you will agree it will take your metal detecting experience to another level. XP Deus version 4 information video. Please drop into the XP Deus Classroom http://xp-detectors.co.uk/ for the latest XP talk.